Summer is a fabulous time of long, lazy days and evenings staying up late. It can never come fast enough, or last long enough, unless you have kids who are bored two weeks in because there is nothing to do. 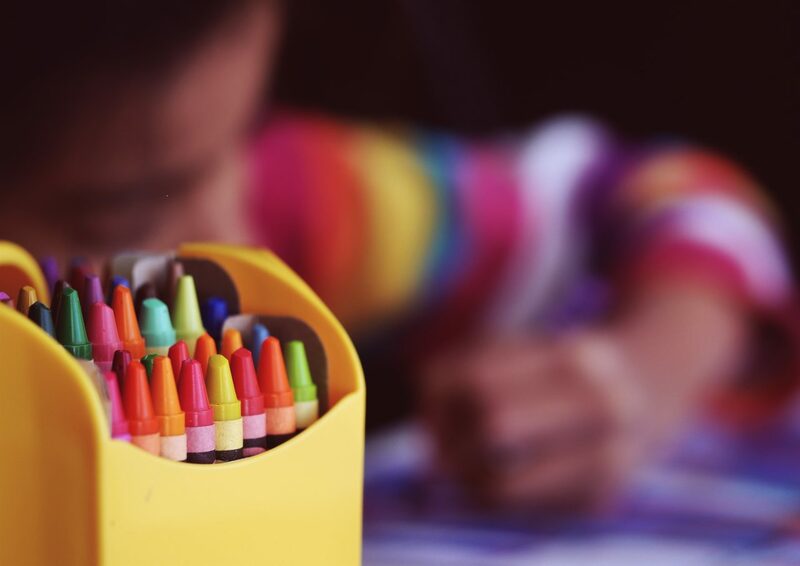 If you have kids who will be home this summer and you’re already thinking ahead to how you’re going to keep them busy, here are some simple craft ideas that you can either easily prep for now, or that use things you likely have at home. There is nothing better in the summer than strolling the streets, lounging in bed, or hitting the beach with something you made yourself. Plain t-shirts bought in bulk at the discount store become works of art when kids apply their feet, hands, paint brushes or other tools to the blank canvas. Dollar store hats or visors become gifts for grandma or treasured pieces for themselves when they apply their expertise. Pillow cases become customized, and jeans that are too short can turn into shorts that take on a whole new fashion sense with a little paint and creativity. Buying paint sets can mean you have paint for multiple projects all summer long. Dig up a paper towel or wrapping paper roll, make the plates into rings and you have your very own ring toss game. The only limit to all the things a paper plate can be is your imagination. A single large roll of white or brown craft paper, some paints or crayons, stamps or similar marking tools, and your kids can stay busy all summer long, custom making your wrapping paper supply for the year. Use your family planner to assign themes for the week and then let them have at it. Whether you precut the paper to a variety of sizes, or just let them decorate a large swatch at a time that you can later cut as needed, you’re giving kids ‘something to do’ that they’ll be able to brag about then throughout the year as gifts are given and wrapped in the paper they custom made. Tissue paper, glue and safety scissors, and a little imagination, can also keep kids busy crafting the whole summer long. Whether it is vases to give as gifts, jars to hold the pebbles they collect on the beach, or others that will hold a candle and light up the patio at night, decoupage takes time, teaches patience, and can fill many long summer hours. Old tissue boxes become storage boxes, tin cans washed and dried and with sharp edges removed can become a pencil holder for dad’s desk. Kids can decoupage rocks to use as paperweights or to decorate an area in the house. Quite literally, the only thing that won’t be decoupaged is the thing they don’t think of. Pipe cleaners and beads make for inexpensive and easy crafts for kids. Choose beads that are appropriate for the age of your children, or skip them altogether if they’re too young. Whatever you choose, the premise is the same. With or without beads, pipe cleaners can make bracelets, rainbows, caterpillars, book marks, flowers, bugs, glasses, snowflakes, lettering for signs, hold rock candy treats, decorations for trees, mobiles….. you get the idea. Whatever crafts you’re going to tackle, plan ahead. One of the challenges with summer is that, after the first few weeks, or maybe days, of freedom wear off, kids are challenged by the loss of routine, by not knowing what comes next. Using a family planner to plan a craft or two a week gives kids something to look forward to, and to plan for. Depending on the ages of the kids, perhaps have them add a craft a week to the planner, be sure you have on hand what they need, and let them plan and run the activity. They’ll feel they accomplished something and you’ll be teaching them how to occupy themselves.